I would say if I were to list out the interesting events I’ve attended in 2015, Yeo’s New Look launch was one of them. Yeo’s Malaysia has revamped their image, to a more natural yet refreshing new look, with a distinctive “Green Rainbow” motif. New Look particurlary intended to reach out younger consumers, who find the new look more appealing and natural. Young generations nowadays including me are more health conscious to be honest, constantly searching for less sweet, low fat. 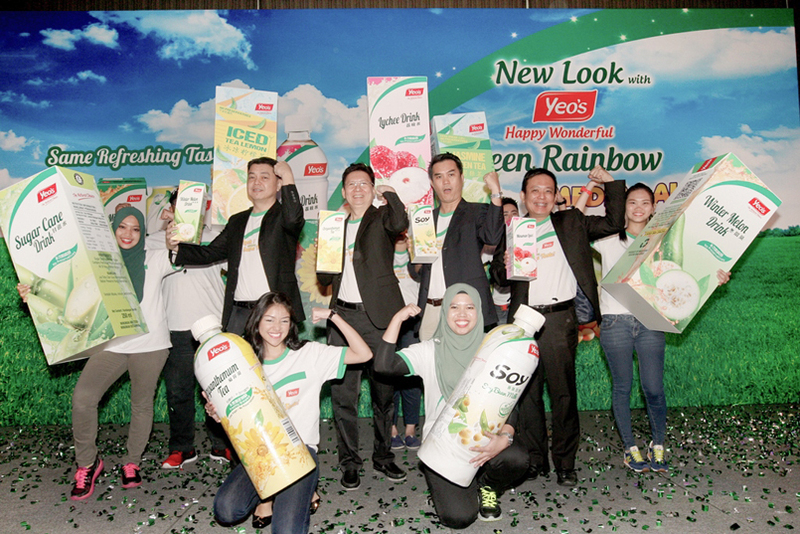 Yeo’s Malaysia’s New Look just got the point, “Green Rainbow” symbolizes Natural Goodness, Growth and Well-Being, all the good qualities that consumers have long become accustomed with their drinks. L-R: Tan Kai Hong, GM –1st Vice President, Sales; Lee Hon Seng, Senior Vice President Sales, Malaysia & Indonesia; Ong Chay Seng, Group Vice President, Yeo’s Malaysia & Indonesia; Vincent Chui, 1st Vice President, Marketing. 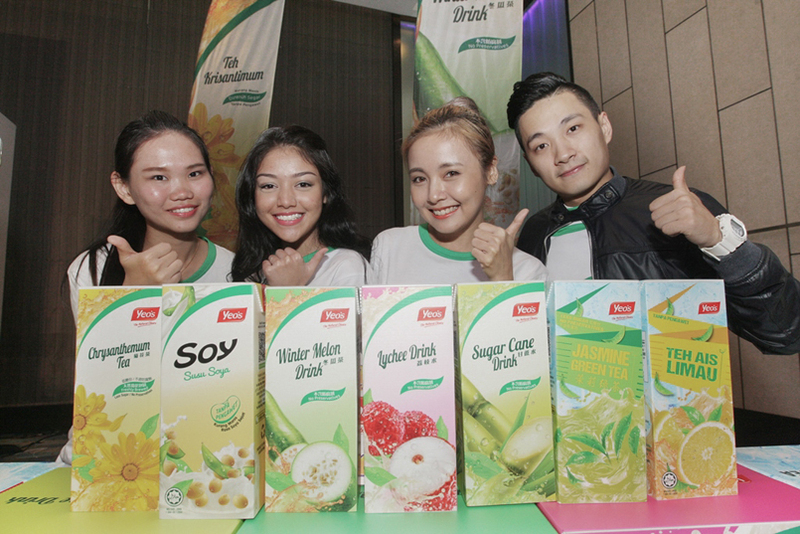 In conjunction with the new look launch, Yeo’s Malaysia is having Yeo’s Happy Wonderful Green Rainbow Charity Challenge to raise up to RM100,000 in aid of six orphanages. For every photo or video that the public submits in relation to the Yeo’s Happy Wonderful Green Rainbow Charity Challenge, Yeo’s will commit to contribute RM1 and RM10 respectively. And it’s open for public!